You’ll teach your kids thousands of lessons as they’re growing up, but make sure you don’t overlook one key area: how they can be money savvy. 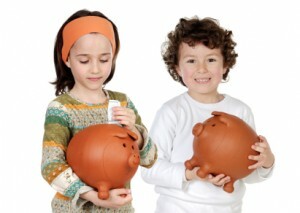 Kids who learn the value of money when they’re little are far more likely to make smart financial decisions as adults. They’ll thank you for those lessons one day! Here are six simple ways to teach your kids about money. When your kids are under age 4, they have no concept of money. When they need something, it magically appears out of your hands, as far as they can tell. Around age 5, they should start becoming aware of the wider world – especially as they enter school – and it’s time to demonstrate that mommy and daddy don’t pull toys out of their hats. Explain commerce in the most elementary way. Mom and Dad get money because they go to work. People at stores want money, too, so we go to the store and trade some of our money for things we need, like food, clothes, and toys. Then let your kids do it. Give them some of the money they got from Grandma and Grandpa, take them to the store, and show them what they can get for the money. Let them complete the transaction at the counter, so the exchange of money for things is explicit. The slight pang they feel when they give up their money for a toy is a good thing – hopefully they’ll feel that pang the rest of their lives! Delayed gratification is vital for kids to learn. One example is the concept of saving up money for something you want. But anyone with kids will tell you that talking about saving money bores kids. Instead, give them a piggy bank and tell them that when they put money in there and leave it, it will grow. Then make it grow yourself by adding a few coins every couple of days. Don’t do this in secret – show them that you’re rewarding them for saving their money, just like banks reward people for saving money. They’ll get the idea, and, hopefully, become life-long savers. Perhaps the most poignant way to teach kids about the value of money is to deny them sometimes. It’s likely that you have more disposable income than your parents had, and chances are you can afford to buy your kids pretty much whatever they want (at least until they start asking for computers and such). But people of all ages generally don’t value things that come easily, so if you buy your kids whatever they want, the connection between earning money and getting things becomes blurred. So, the next time your kid asks for some unnecessary item, tell her that you just can’t afford it at the moment. This will reinforce the connection between those green pieces of paper in your wallet and the things she wants. Establish a category of items that your kids will always pay for, such as candy, video games, or a hobby (Pokemon cards, Barbie accessories, etc.). If your kids know that those items only come from their own money, they will have a stronger incentive to save for them, and they will value them more than if you purchased them. And they won’t nag you for them at the store! The next time you’re on vacation, tell your kids that each of them will be responsible for one family meal during the trip. Help them budget this expense, choose the restaurant, and complete the transaction at the restaurant. This idea teaches your kids several lessons. First, it will reinforce the idea of having to save money for a future expense. Second, it shows them that not all expenses are necessarily “fun.” And finally, it will show them that paying for things that other people benefit from can be as satisfying as buying something for themselves. That last lesson will serve them in many situations! This is perhaps the most important tip. Your kids learn from you whether or not you mean for them to. 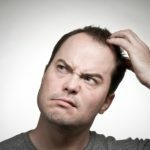 So the next time you’re tempted to make some boneheaded financial move – like using your credit card to pay for something you can’t really afford – imagine explaining it to your kids. If you can’t stomach the idea, don’t make that move. By showing financial restraint, you will not only be setting a good example, but possibly saving yourself some money as well! These six tips are just a beginning of a lifelong education in money. Your kids may not explicitly remember these lessons, but if they grow up to be money savvy, you will have the satisfaction of knowing they learned from them. Why Donâ€™t Young People Care About Finances? Great list. One thing that we did when my daughter was growing up was to use the 80-10-10 principal when she received money. Give 10%, Save 10% and then the rest is to spend (reasonably of course – by using the list in your post). She is almost 21 now and this and other money lessons that we tried to teach her seemed to have worked so far. Financial education for children is crucial now days. I especially like number 2 (adding “interest” to their savings). If children can learn and see a big return on money they’re saving (much higher rates than what banks offer) when they’re younger, I think the concepts of interest and more interest over time will be much easier for them to grasp. With number 3, I take issue, because if you can in fact afford to buy your child something and then say you can’t afford it, you’ve just lied to your child. I think telling them ‘no’ sometimes is fine. But a better way to handle it would be something along the lines of explaining what a budget is and that we can only spend so much money on toys in a month/few months/year so we can’t just buy things whenever we want. It then ties in nicely with number 6 – leading by example. You can never be too young to learn how to control your spend & your over finances. At the very least it can prepare you for the future when you will really need to know how to do it.